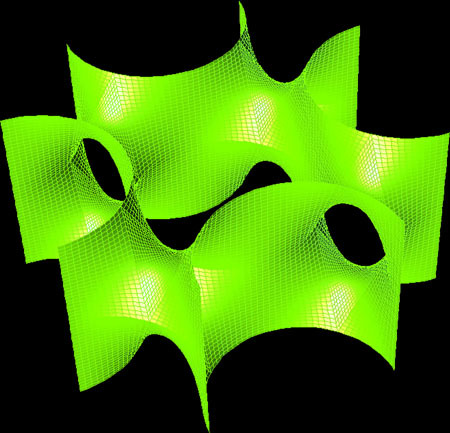 A minimal surface is a surface with a mean curvature of zero. Physical models of minimal surfaces are soap films, realized by dipping a wire frame into a soap solution. The wireframe defines the boundary of the surface. Minimal surfaces are of great structural interest and define the shapes for tensile structures: they are defined by elements carrying only tension and no compression or bending, which are absorbed by their boundaries. Inversions are surfaces generated by connecting one curve with its mirror image.